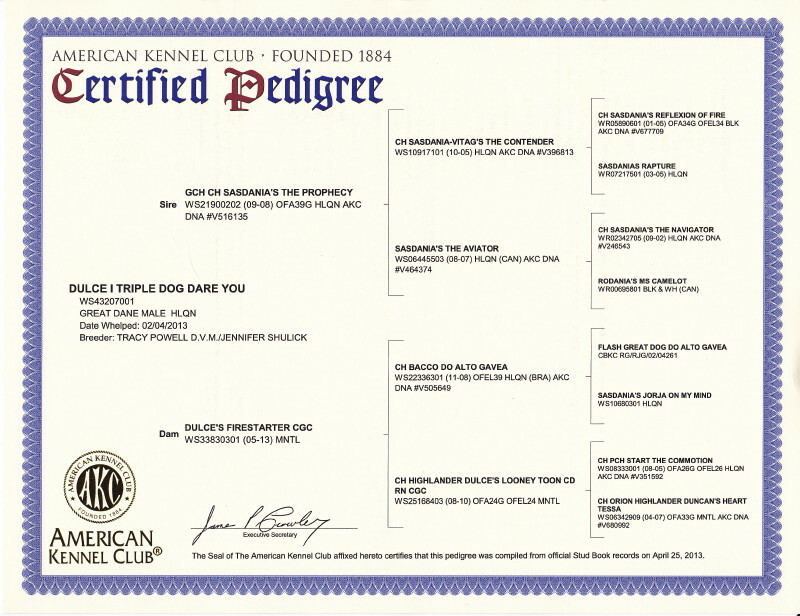 Owned by Karen & Dale Desjardins & Tracy Powell DVM. 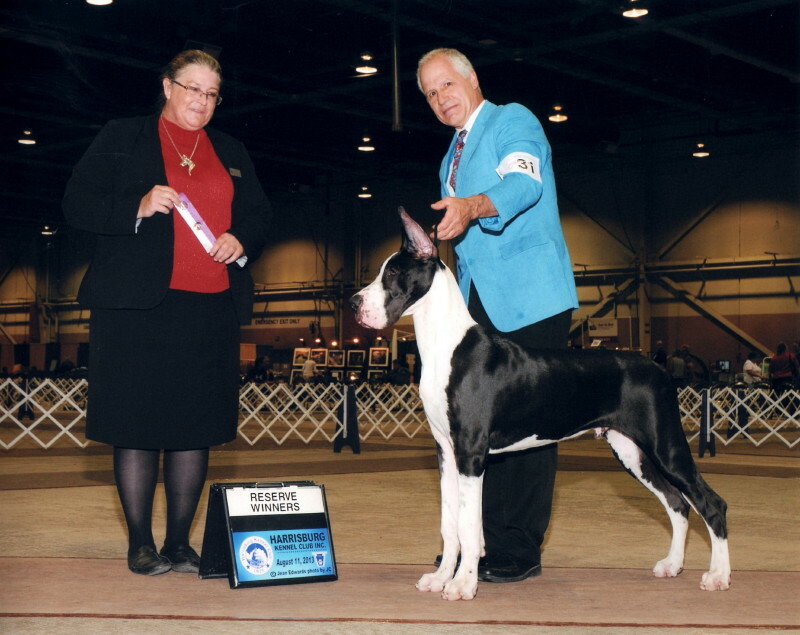 Bred by Tracy Powell DVM & Jennifer Shulick. Health clearances: OFA eye normal, PennHIP greater than 90th percentile (left DI=0.18, right DI=0.18), OFA thyroid normal, OFA prelim hips excellent and prelim elbows normal, OFA cardiac with echo normal. CHIC# 106641. 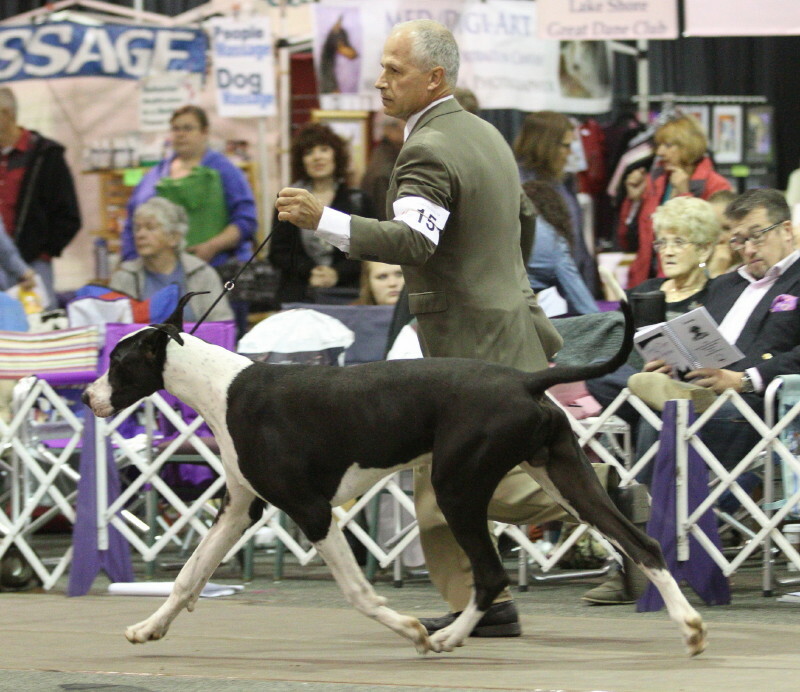 ﻿He carries for harlequin and piebald. 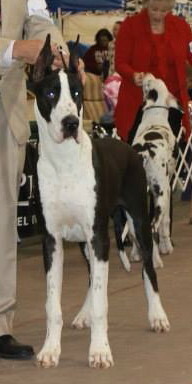 First place 7-9 month puppy dog futurity class at 2013 GDCA national. 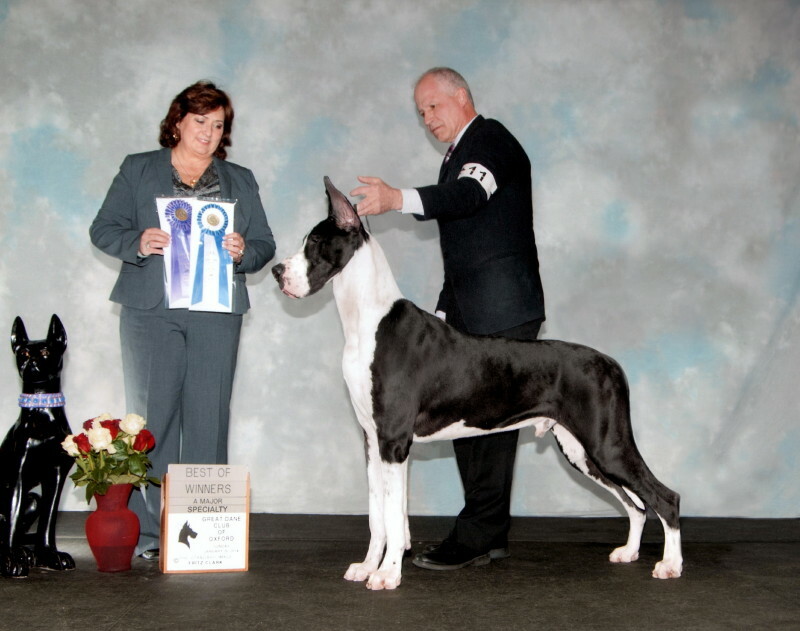 First place 6-9 mantle puppy dog class 2013 GDCA national. 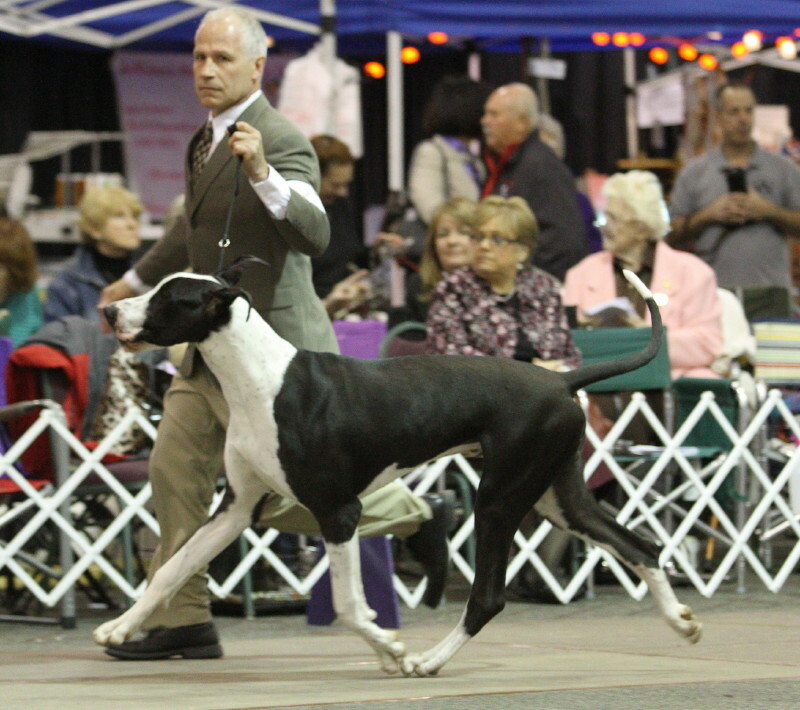 Finished 2/23/14 in 7 consecutive shows at 12 months old with 3 majors. 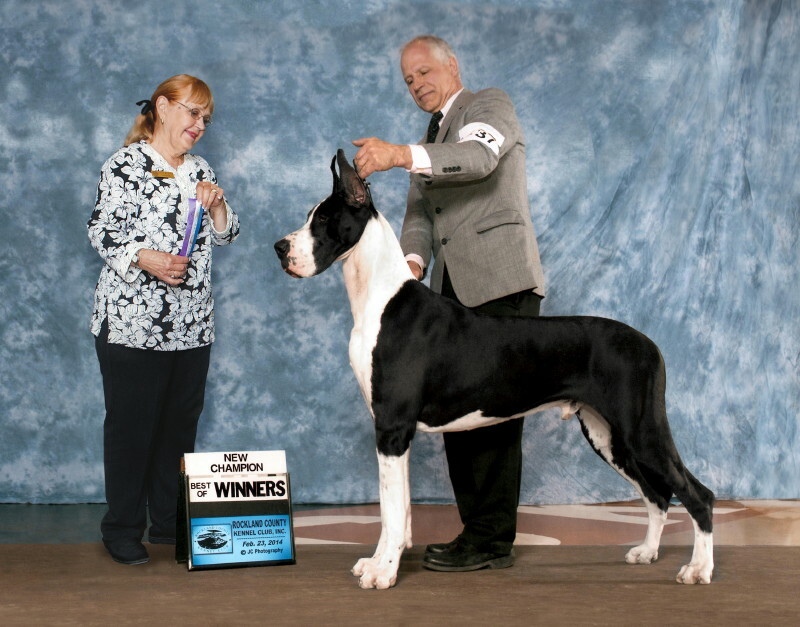 Finished his Grand Champion with 6 majors at 16 months old. Multiple Best of Breed and group placements. BISS at 2 years old. 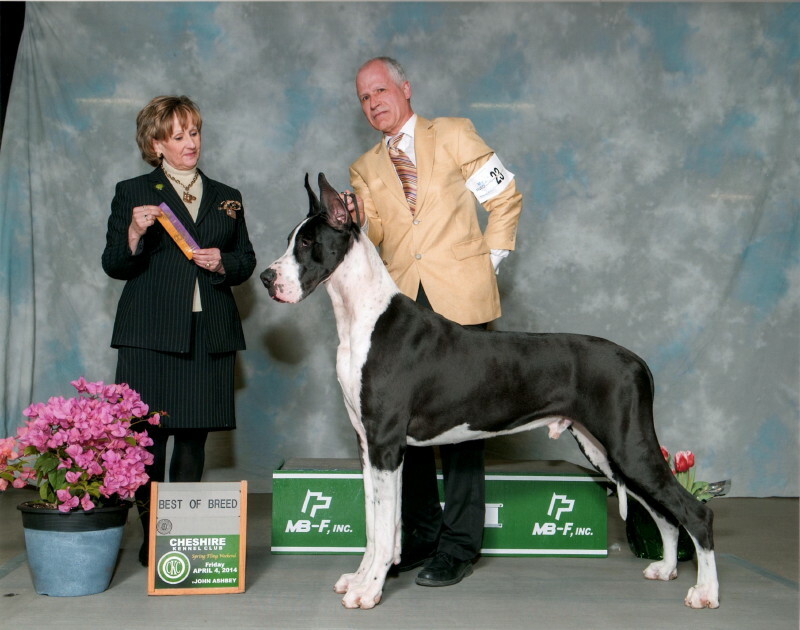 FIRST MANTLE MALE TO TAKE A GROUP 1! Unfortunately, he is not available for stud service.